Winter has a firm hold. Short cold days, long winter nights, bring hardship for the residence of our countryside. Scarcity of reliable food supplies and the low temperatures of winter combine, to bring many of our birds and animals to the brink. Winter; and especially the last bit is one of the hardest times for our wildlife. Perhaps the lucky few have evolved to sleep through winter. Hibernating, avoiding the worst of the weather. But even they can be caught out. If the weather turns and we get prolonged bout of very cold weather, it can threaten the lives of hibernating mammals. Extreme cold means, hibernators have to use more energy to keep warm. Long cold periods and fat reserves run dangerously low. Some; will have to awaken from hibernation to go in search of food. But with little or no food available the prognosis is not good. Exceptionally cold weather has a marked impact on the numbers of hibernating survivals. For those who can’t hibernate, life is lived on a knife-edge. At the start of each short day they must replace the energy used overnight to keep warm. For most, finding enough food during daylight will become a matter of life and death. Pickings are slim at this time of year. Autumn; was the last time many of our trees produced any sustaining food. So for now, Deer eat the bark of young trees in an effort to find something nutritious. Grasses produce sweat sugars all summer long sustaining the grazers. But without sunlight even our grass has become dormant. Not until spring will it again burst back into production. 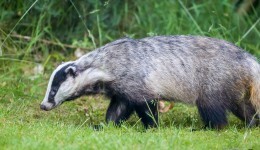 Badgers the nemesis of many an earthworm, are feeling the effects of winter. Cold weather drives the earthworms deeper into the soil making them harder to find. Add a covering of snow and the task becomes impossible. So on snowy nights it’s not worth a Badger venturing out. Many will stay below ground in an effort to conserve dwindling energy levels. A harsh winter will see Badgers driven above ground to find food. Many will not make it to spring. 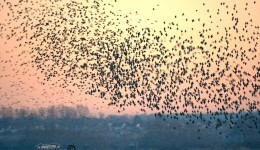 Many of our small bird species communally roost during winter. Huddling together is warmer than being on your own. Birds don’t carry much spare fat, too heavy and you can’t fly. As dark falls they stop feeding and find a sheltered space to roost in. But you may well catch a glimpse of a loan individual still feeding. It probably, has not enough energy reserve to make it through the night and is forced to take the incredible risk of feeding into the gathering darkness. Winter is a time of hardship. Our modern lives separated us from the realities of winter. Central heating, food imported from warmer lands, improved food storage. All this helps separate us from the effects of winter. 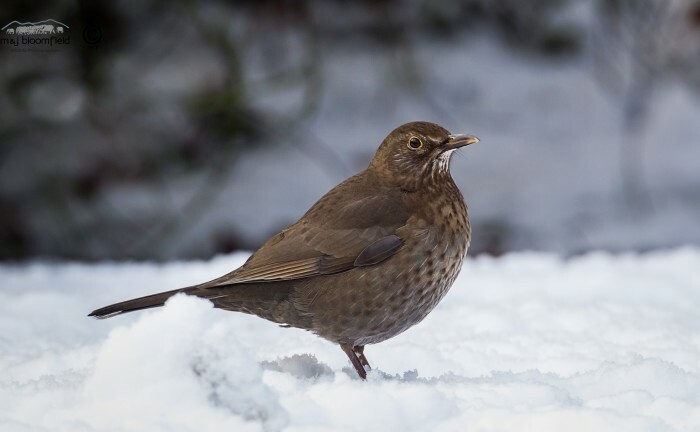 As you stand in front of the radiator, looking out the double glazed window, coffee in hand, spare a thought for our wildlife enduring the hardships of winter.